"I can see that she has the potential to make a difference in this galaxy. We'll only know in time what wonderful events she's to take place in." 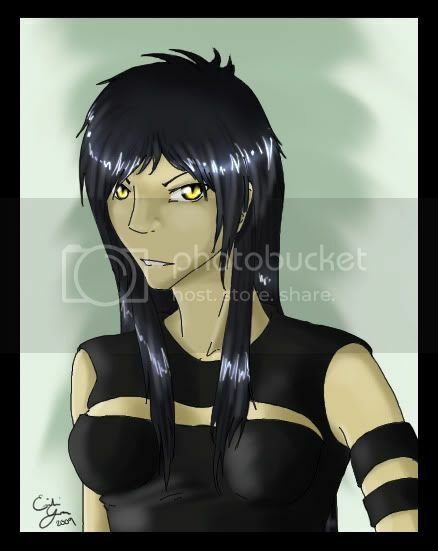 - Skiah Firestrider, after the birth of Emilie Firestrider. Emilie was born to a Human father and Cathar mother, their family living as farmers on Tattooine before her family stepped up into a life of middle-class luxury and moved to Coruscant where she was discovered by an unknown Jedi and sent to the academy for training in the ways of the Jedi. She fell in love with another Padawan, Robert Skywalker and soon became pregnant. While in the birthing chambers, delivering her baby boy, Robert burst into the room and mortally wounded her and dragged her son away. Tabris Longuine intervened at the time, though Emilie was unconscious then and put into suspended animation* for many years before her wounds were healed. She was released from the suspended animation, unable to remember her past and continued to live her life normally, ascending to the ranks of Jedi Master and eventually being placed on the Council. Emilie grew up surrounded by the sands of Tattooine for the first six years of her life. Her father was a local businessman, and her mother remained at home to raise her. Emilie was distant with other children throughout her childhood, seeming to separate herself from the others and instead spending time exploring the rocky landscape around her home. Many doctors examined Emilie, but found no traces of psychological disorder, simply an interest in other things. "She's just different, Mr. and Mrs. Firestrider. It could be the environment she's presented with, her home life, her schoolwork, or a number of other things that makes her so distant with the other children. Maybe a change of pace will work and she'll start to make friends." -A local psychiatrist to Emilie's parents after Emilie ran away from home and spent the night in the Tattooine desert for the first time. Eventually, her father got a business offer that moved the family of three to Coruscant. Emilie cried when her family left the dusty planet behind, smacking her tiny six-year-old fists against the port windows of the spacecraft they took to Tattooine and eventually going into hysterics and hyperventilation at the loss of her beloved home. The change of locale would prove beneficial to Emilie in the end, as she enjoyed the sprawling hive city planet of Coruscant. She began making friends and excelling in school, showing incredible promise and an innate sense of worldly awareness which resulted in her being discovered by a passing Jedi and then inducted into the Jedi Academy when she was nine. "My past is my past - it's something that's behind me now. I tend not to dwell on dusty places like Tattooine anymore now that I've got much bigger priorities to focus on." - Emilie Firestrider to Robert Skywalker as they were Padawans. Emilie spent a great deal of her time training to reach Knighthood within the Jedi Academy. However, most of her time was spent with Robert Skywalker as the two quickly fell in love with each other. Soon, Emilie became pregnant and she very anxiously consulted her elders on what she should do. She finally came to the conclusion that she would keep the child, as her mother earnestly offered assistance. She told Robert of her pregnancy six weeks in, and the two spent much time together thereafter. Labor pains struck Emilie while she was strolling the garden one sunny afternoon in 315 ABY and she was promptly taken to birthing chambers that had been set up in expectancy of the birth. The labor lasted nearly 32 hours and Emilie, sweaty, panting and nearly unconscious from exhaustion finally gave birth to her son. Unbeknown to Emilie, Robert had been approached by an unknown Seer and told that the child would, through the will of the Force, eventually kill him. As Emilie lay weakly upon the birthing table, Robert burst forcibly into the room and accidentally, inadvertently, mortally wounded Emilie. She fell into a state of physical shock, losing so much blood that her body couldn't produce what was need to metabolize and heal(especially after birthing a baby) and was beginning to shut down. Her last clear thoughts were those of despair as her only love snatched up her baby by the leg and stormed off with him. Emergency crews were losing hope, sure that Emilie would succumb to the wounds inflicted upon her birth weak body and eventually die. Truly, her heart did stop for twenty-two seconds before being resuscitated and placed in suspended animation at the advice of Tabris Longuine where she remained for the next several years, believed dead. "No! No please! Don't take him! D-… Don't…" - Emilie Firestrider, succumbing to her wounds in the birthing chambers as her baby was being carried away by Robert Skywalker. After nearly four years, Emilie was able to be removed from the suspended animation she had been placed in though she had lost nearly all memory of the events leading up to her death. She continued with her life in ignorance of what had happened, eventually moving up through the ranks of Jedi and earning a seat on the Jedi Council. Emilie is very down-to-earth, but still sarcastic. She has a mothering way about her and almost an overwhelming need to take care of the people around her. Though she's what one would call a "lone wolf", Emilie still enjoys company from time to time. She looks more human than she does Cathar, but still bears some of her mother's traits like slitted amber eyes resembling those of a large jungle cat, fast-growing claw-like fingernails and very sharp teeth. She has heightened senses due to the Cathar blood from her mother's side of the family, and an increased agility and speed. Emilie has a slender build, almost athletic, though this is something she's possessed throughout her entire life as it is part of her feline bloodline. She doesn't wear the traditional robes of the Jedi, preferring something she feels has more style, though still nondescript in the Jedi way. She rarely wears her hair up, preferring to keep it down, and very rarely wears dresses, as she thinks them cumbersome and unnecessary. 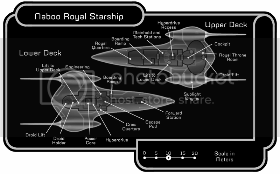 Emilie travels through space using a remodeled version of a Royal Nubian J-Type Starship, upgraded to meet her needs. It's a large vehicle for one person, but Emilie has always liked to have plenty of room to move. - Emilie rediscovers her past and learns that she has a son. - Emilie learns of Robert's conquest of the galaxy and of her son's destiny. - Emilie feels Robert's death in the Force and attends his funeral where she meets her son, Ren Skywalker, and the two share a long talk together.